Summary: 1968 was a year of war, unrest, and marches that demanded peace and justice. At the end of the year, three astronauts, Frank Borman, Jim Lovell, and Bill Anders, flew into space as the Apollo 8 mission. 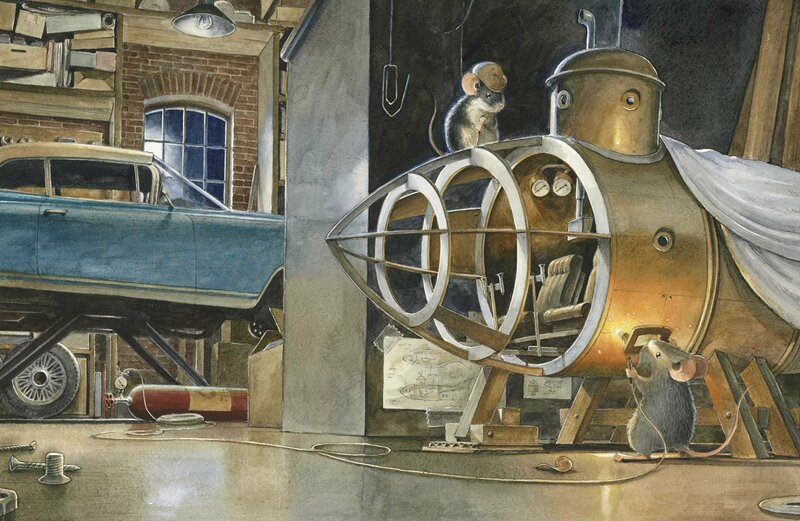 They traveled further than any humans had gone before, going all the way to the Moon to figure out the best place for future missions to land. 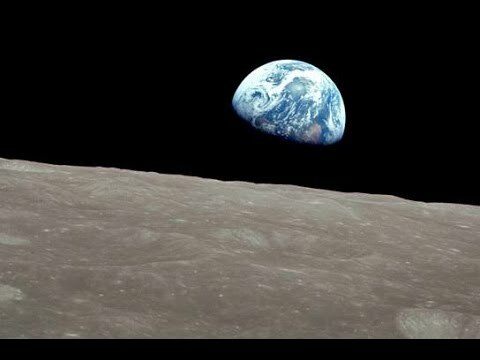 On their fourth orbit around the Moon, they saw the Earth rising above the moon, and snapped a color photo of it from their window. That photo became famous, showing the Earth as a peaceful planet with no national borders, home to all people. 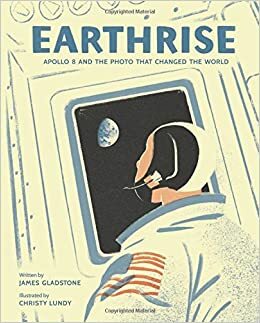 Includes a brief note with additional information about Apollo 8 and the Earthrise photo. 32 pages; ages 4-8. 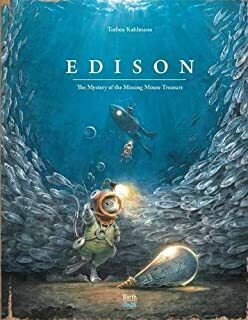 Pros: A perfect introduction to the space program for young kids with a nice message about a photo that inspired people to see Earth in a different way. Cons: It’s a pretty brief introduction with no resources for further research. Also, I wound up with Bette Midler’s “From A Distance” stuck in my head for hours after reading this. Summary: Zoey wishes she could be her favorite animal, an octopus. It would be nice to have eight arms when she’s trying to take care of her three younger siblings while her mother works and tries to keep her boyfriend, Lenny, happy so he’ll let them stay in his trailer. It would be helpful to be able to have an octopus’s camouflage abilities so her wealthier classmates wouldn’t stare at her ill-fitting clothing. And it wouldn’t be bad on occasion to be able to shoot a cloud of black ink at the kids who make fun of her or at the social studies teacher who is asking too many questions about Zoey’s home life. 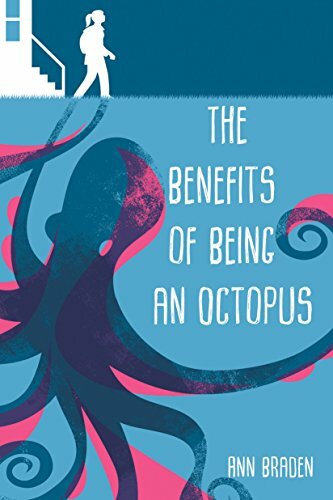 But Zoey is a seventh grade girl, not an octopus, and when her teacher insists that she join the debate club, she starts to learn that discrediting an opponent is a technique, not only for winning a debate, but also for stealing another person’s confidence. When Zoey sees Lenny doing that to her mom, she starts to think she needs to intervene. 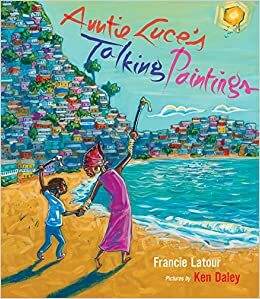 When her friend Fuchsia’s mom puts the two of them in a dangerous situation with her new boyfriend, Zoey realizes she has to leave her camouflage behind and speak up for herself and for the people she loves. 256 pages; grades 5-8. Pros: A compelling story of a family living in poverty, forced to make impossible choices just to get through the day. Zoey sees the kids around her worrying about homework, having crushes, and enjoying their friends, but none of that normal middle school stuff can be for her because she is so weighed down by her family situation. The ending is hopeful, but realistic–there is still a long difficult road ahead for Zoey and her mom. Cons: The gun debate subplot didn’t always ring true for me. Zoey’s friend Silas loves to hunt, which seemed to be presented as the reason guns are okay, but he and his dad were hunting bobcats for sport, which didn’t really convince me that hunting is a good thing. 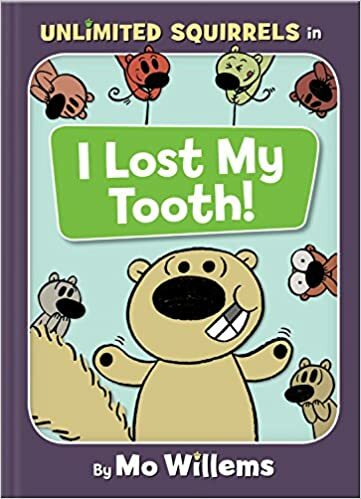 Summary: When Zoom Squirrel loses her tooth, her squirrel friends are horrified, particularly when they find out it was a baby tooth! They’re sure it must be alone, sad, and hungry, and they scatter in all directions to try to find it. When they’re gone, Zoom Squirrel realizes it’s under her pillow, and goes off to retrieve it. The other squirrels return to find her gone, too! Finally, everyone is reunited, and the baby tooth is put into a carriage where it is oohed and aahed over. 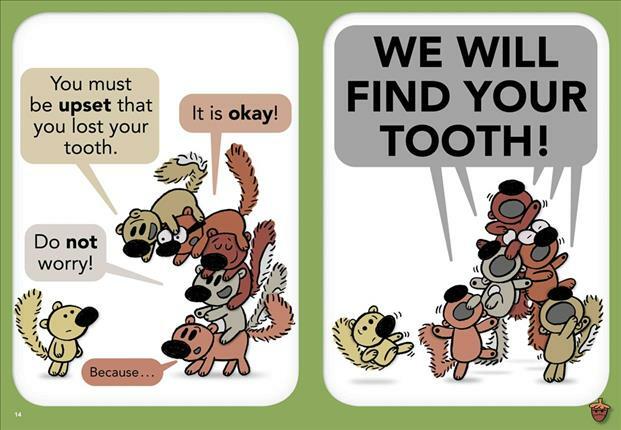 Zoom Squirrel has the final word as she concludes with the lesson from the story: “Squirrels do not know much about teeth!” The final third of the book includes jokes and facts about teeth. 85 pages; ages 4-8. Pros: Squirrels may not know much about teeth, but Mo Willems knows plenty about how to tickle kids’ funny bones, and his legion of fans is sure to welcome this new series (at least I assume it will be a series), with a size, shape, and illustrations that are similar to the Elephant and Piggie books. Cons: There’s a large cast of squirrel characters, all of whom look kind of similar to me. Also, the back matter seemed unnecessary, although I suppose jokes, riddles, and fun facts will always find an audience with the preschool crowd. And I feel foolish offering any criticism, as I know that anything even remotely resembling Piggie and Gerald with Mo Willems’ name on it will be a runaway best seller. 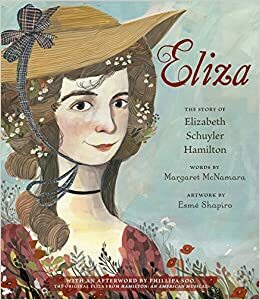 Eliza: The Story of Elizabeth Schuyler Hamilton by Margaret McNamara, illustrated by Esme Shapiro. 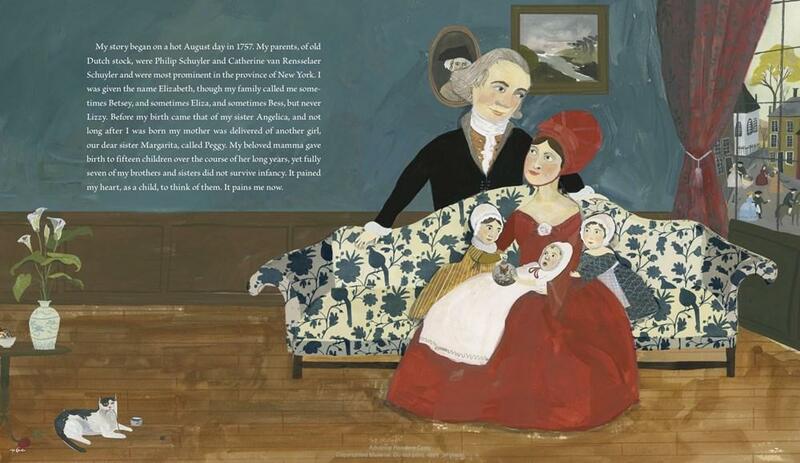 Summary: Writing a letter to her soon-to-be-born grandchild, Eliza Hamilton tells the story of her life, starting as an adventurous girl who liked to run and play on her family’s farm in upstate New York. 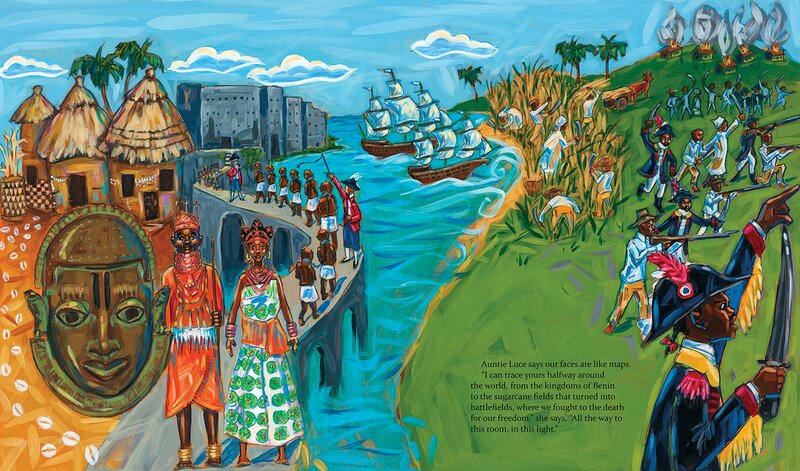 She writes of her regret that her family owned slaves, and how they eventually freed them. Then she moves on to meeting and falling in love with Alexander Hamilton, and how she helped introduce him to some of her family’s socially prominent acquaintances. After his death, she worked for many years to preserve his legacy, raise money for the Washington Monument and to continue and expand upon the charitable work the two of them had started. Her proudest achievement seems to have been founding New York’s first orphanage in 1806, an institution that continues to this day. Back matter includes extensive notes and additional resources, as well as an afterword by Phillipa Soo, the original Eliza from Hamilton: An American Musical. 48 pages; grades 3-6. Pros: An excellent introduction to a lesser-known founding mother, with her accomplishments presented in their own right, not only in connection with her famous husband. The folk art style illustrations add a lot to the text; older fans of the musical will enjoy this book as well as the youngsters. 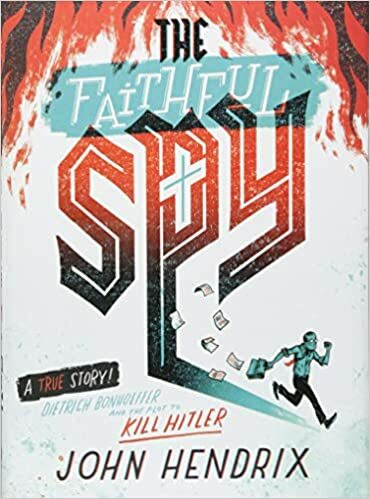 Cons: I’ve seen this book recommended for kids as young as 4 years old. In my opinion, it wouldn’t be appreciated much by anyone without some background knowledge of early American history.